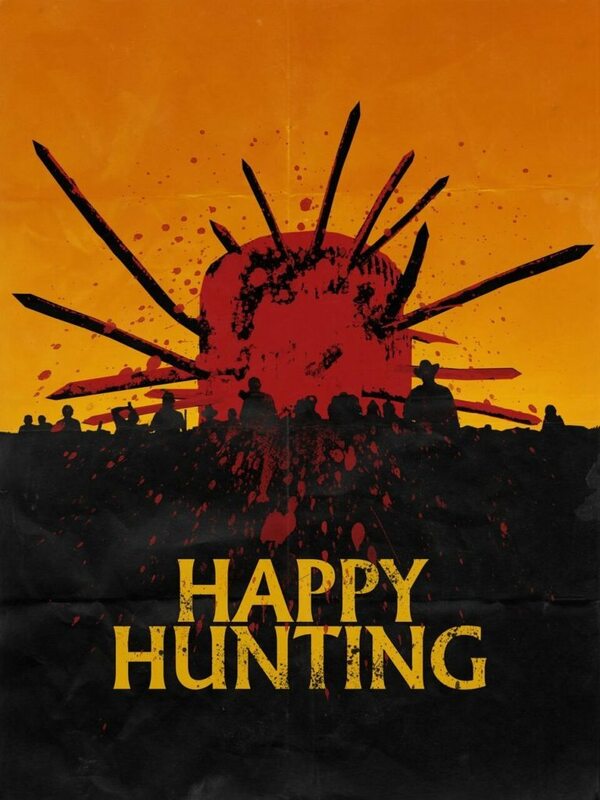 Firstly, I’d just like to say thank you to Producer, Bryson Pintard for allowing me access to an online screener of the Horror/Thriller film “Happy Hunting”, Co-Written and Directed by Joe Dietsch and Louie Gibson. Happy Hunting follows Warren Novak (played by my fellow Aussie, Martin Dingle Wall), an alcoholic vagrant who while battling withdrawals, stumbles into the small town of Bedford Flats where he unknowingly becomes a target in the locals festive hunting event. The film also stars Ken Lally, Gary Sturm, Kenny Wormald, C.J Baker and Jeremy Lawson. I don’t usually do much digging on a film prior to watching it, but I’d read some positive reviews for Happy Hunting fresh off the festival circuit. It sounded like a Peckinpah (The Getaway) style trip down nostalgia lane, which automatically peaked my curiosity. Dietsch and Gibson’s script centers around the gritty journey of downtrodden and hard-boozer, Warren, whose got very little left to live for other than his addictions, that is, until he gets a phone call from his past, resulting in an impromptu trip to Mexico. I’ll be the first to admit that I’m a sucker for the vast, arid landscape that Happy Hunting takes place in. The film opens with a fantastic aerial shot atop a figure trekking over endless barren lands, eventually transitioning into a nice tracking shot that reveals a disheveled man in a scuttle. Joe’s cinematography is first class and really raises the production value of Happy Hunting. From the outset, there’s grand establishing shots of the terrain and the township itself, as well as plenty of smart framing and slick macro shots. I think this is perhaps the first time I’ve seen a pair of filmmakers utilize focus pulls and slowed frame rates in a way that actually benefits the film. The points at which those techniques are applied certainly help to build or maintain the desired amount of tension. There’s some great shots in a sequence toward the climax of the film that takes place in a series of tunnels, it reminded me a lot of Mickey Keating’s superb “Carnage Park” *see review* https://adamthemoviegod.com/carnage-park-review/. The classic yellow title credits are clearly inspired by the likes of Tarantino, and the quick time lapses in the edit are a welcomed and smooth addition. The audio track is clean and I enjoyed a sizable chunk of the score. There’s an emphasis on big drum and bass in the lead up to a lot of the action, it develops nicely. I’ve always liked the unnerving and clattering sounds created through violin, though it’s usually only heard in paranormal based horror so it was a pleasant surprise in this one. Wall’s performance is quite a good one, albeit restrained, mostly due to the fact that a lot of his scenes are spent alone, especially in the second half of the film. There’s this internal dialogue that manifests itself in the form of a spirit, which does give him a little face to face time but it’s not a lot. Martin reminded me of a much younger cross between Jeff Bridges and the late Sam Shepard (R.I.P). Gary Sturm is also impressive as Sheriff Burnside, whose like a character out of a Ti West film (House Of The Devil and The Sacrament). The combination of locals, Cheryl and Steve Patterson (Sherry Leigh and Ken Lally) help give the film some much-needed energy that’s certainly lacking from most of the remaining residents in the town. Lally’s grounded and less jovial, Steve Guttenberg (Police Academy) like nature, makes for a fun watch. There’s a steady flow of action throughout the entire film and the practical blood and gore is serviceable. Happy Hunting does play out slightly more like a thriller than a genuine horror film, but that being said, there are a few graphic prosthetic pieces in the latter part of the film. With the exception of some average CG blood, in an attempt to enhance some of the on-screen kills, the technical aspects are all more than competent. The film does lag in a few places despite its 90 minute run time, and I hoped for a little more information on the situation that ultimately called for Warren’s attention in Mexico (at least I think it was Mexico). Devoid of a single flashback it’s hard not to have questions. Although I suppose that creates debate, which isn’t a bad thing but a couple of those one way interactions, particularly the first phone call at the start of the film, won’t necessarily help get the viewer on board with Warren and his plight. As the film progresses you’ll probably end up having more questions about the protagonist than you’d care to. It wasn’t hard to predict that a multitude of the visiting characters you see were going to end up as marks for the hunting festival (you’d likely see it even if you knew nothing about the film). I did like the Bedford Flats promotional video tape though, that was a good form of exposition. There’s a couple of specifics that bothered me too. The first being the older man and his complete lack of reaction to what was clearly a busted or broken leg/knee at the start. He moves relatively freely even with it making rough cracking sounds and such, I expected a much more painful reaction from the actor. On another occasion, Warren and Robbie (played by Connor Williams) find a phone while they’re hiding out. They attempt to get help but fail to even question who might be on the other end of the line. Okay, sure, the person could just lie, but surely you’d ask the question at the very least. The action that comes after said scene was entirely calculable as well. While I understand the need to depict Warren’s internal battle in some form, I didn’t like the use of Bo Dawg (Lawson) as his conscience and it took me out of a film that was otherwise grounded in reality. The ending is bound to divide audiences and personally, I would’ve liked to have seen it go another way. Happy Hunting is the debut feature-length film from Dietsch and Gibson and it’s a great foot in the door for this film making duo. It’s an intense and isolated thriller in the same vein as the aforementioned “Carnage Park”, and to an even greater extent, Chris von Hoffman’s “Drifter” *see review* https://adamthemoviegod.com/drifter-review-3/. The character of Warren is most certainly inspired by John Grant, the key character of the 70’s Aussie thriller “Wake In Fright”. Joe’s cinematography is wonderful, the audio is neat and the discordant score really fits the tone of the film. The performances are all consistent and there’s some damn good scenes. When the violence unfolds its bold and swift and there’s practical effects on display for those more seasoned fans. 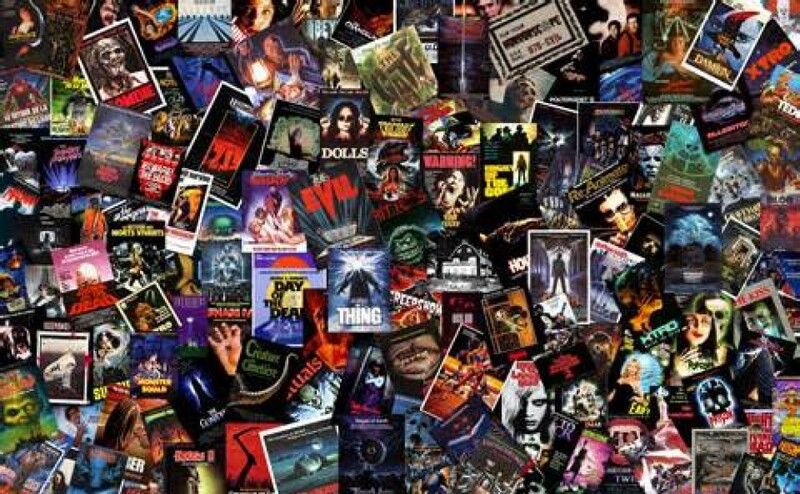 The traces of digital blood detract somewhat from the overall quality of effects work and the film does lag on occasion. A few liberties are taken with the actions of certain characters and some more discourse on the specifics of Warren’s travel wouldn’t have hurt. A couple of finer points in the writing weren’t necessarily to my liking but nothing to really stop the entertainment value Happy Hunting serves up. Fans of gritty thrillers and independent films will definitely enjoy this ride and I look forward to seeing what else the team from Waterstone Entertainment does.